In stock -This product will ship today if ordered within the next 1 hours and 50 minutes. Thick, long, cushioned pads for secure comfort, great fit and effective absorption. 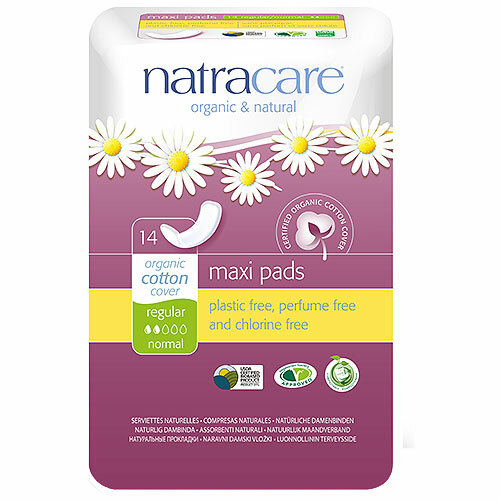 Plastic-free and totally chlorine-free, Natracare Maxi Pads do not contain rayon, latex, chemical additives, fragrances or dyes. An ecologically certified absorbent cellulose core locks away menstrual fluid to keep you dry, and a soft organic cotton cover allows your skin to breathe. 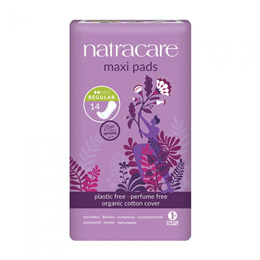 Below are reviews of Natracare Organic Natural Maxi Pads - Regular - 14 Pack by bodykind customers. If you have tried this product we'd love to hear what you think so please leave a review.